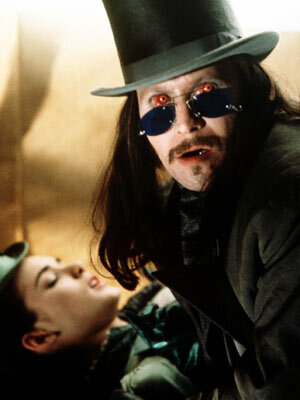 For those that don’t know, I’m currently nearing the end of my Masters in Film and Literature, and my final thesis is concerned with the sanitization (‘defanging’ if you will) of the vampire in modern media; how and why the vampire has become a romantic icon rather than a symbol of the uncanny; what Freud described as unhiemlich. 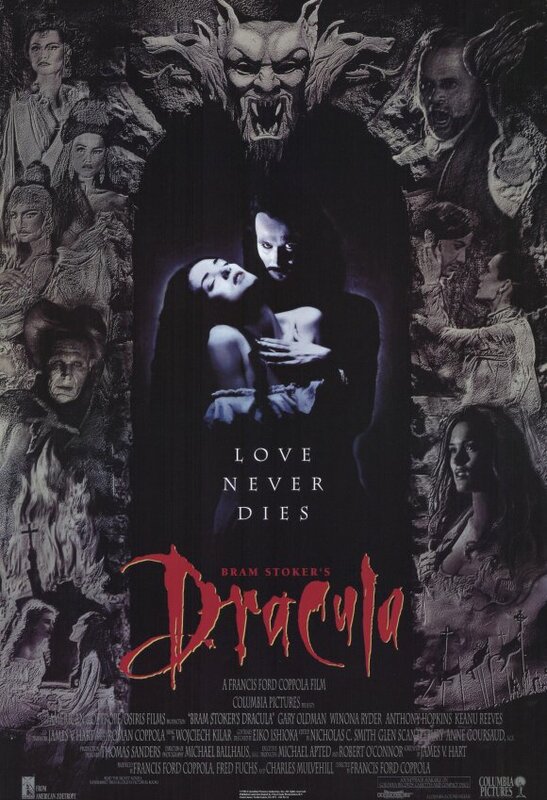 One of my core ‘texts’ for the project is Francis Ford Copolla’s 1992 film version of Dracula, which I’m presenting here as the latest of the on-going Dracula film reviews. However, as I’m so immersed in critically embracing it, it’s actually quite difficult to offer as generalised a review as I might have done with the others. With that in mind, I’ll probably have even more to say about this film at some point in the near future. In the meantime, however, I’ve already decided that its one of my favourite versions.